The Rebel Sweetheart. : Five Rewarding Activities Parents Can Do with Their Children. Five Rewarding Activities Parents Can Do with Their Children. Coloring is not only fun for children, but can also be a great stress reliever for parents as well. 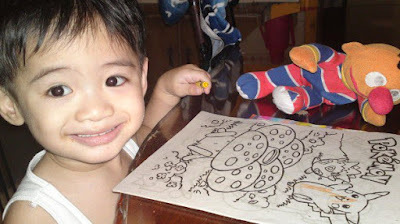 Whether you are choosing a coloring book and crayons or canvas paper and paint brushes, coloring is fun for everyone. Yue at age 2 with his favorite Ernie plushie back in the days. Coloring helps with motor skills and help in the development of muscles in your child's fingers, hand, and wrist that are important in developing a better handwriting. It also helps push boundaries and lets your child know that it is good to think of new ideas. There are also many benefits of coloring for adults such as reducing anxiety and stress, maintaining focus and mental as well as physical health. Coloring is meditative. It is something that can be done without thinking too much. Thereby shutting the brain down and giving yourself a much-needed mental break. Staying between the lines takes focus and concentration, but adds no stress. Coloring is a perfect way to train yourself to focus on one thing at a time. Outside demands can wait until your time coloring is complete. Another great way for children and adults to work together is to build something. Whether you want to find a way to hang blankets up all over the room or maybe even get some large empty boxes stacked together, building a fort is a fun and imaginative learning opportunity. There are plenty of sources online that show you how to build a box fort. Much like coloring, building Lego blocks are not only for kids anymore. Concentrating on building will relax your brain and help train you how to focus on one thing at a time. 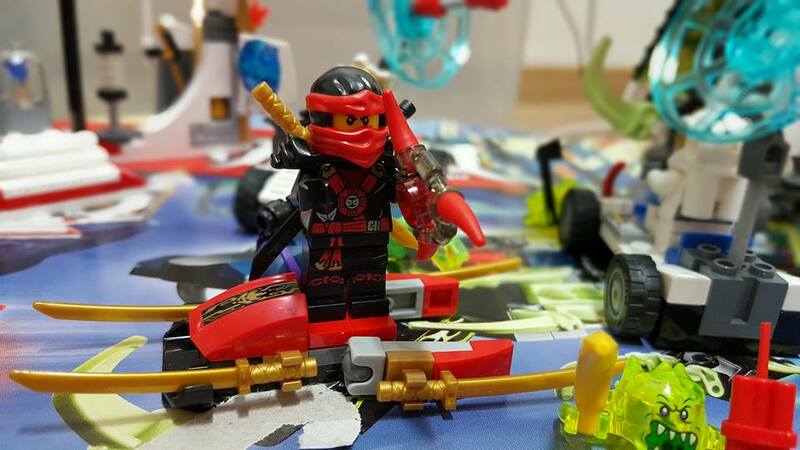 In addition, building model cars can be very time consuming for children and adults, but it teaches a very nice lesson about completing work and having a reward for it. Now each time your child looks at the car or plane they can think of the time and effort put into it. It may seem counterproductive for some parents to think a video game can be beneficial and rewarding, but Minecraft can be. Minecraft is considered a “sandbox” game, which means you start from very little and create your world. It is a very easy to learn game. Your child will love that you are sharing interests with them, and it shares many of the same mental benefits as the activities already mentioned. Running around a playing with your kids may be the best activity a parent can do. Most of the games are the same as they were when you were little, so allow yourself to be a kid again. The best way to get exercise is by having fun doing it, so play the games with your child that you played as a child. 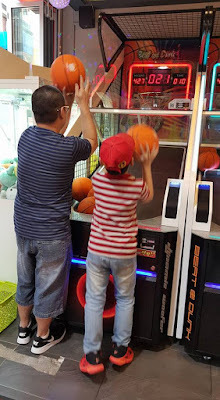 Yue and Daddy playing arcade basketball. It isn't just boys that like to play catch. Girls enjoy it too, so grab a baseball and a glove or a football, and toss it around the yard. Don't mind the sore muscles the next day. Another fun thing for kids and adults is to kick around soccer balls. You don't need to have expensive equipment to have a good time. Walk, run, ride, or Rollerblade to your local park. The fresh air and sun will be beneficial to your body, and the memories made will help cement bonds between you and your children. Swings and slides are not just fun for kids. It is surprising how much enjoyment you get by using playground equipment. You may look awkward as an adult on a child's swing, but the smile on your face will let you know it is worth it. Learning with your child is a great way to show your child that learning is fun. Classrooms are great, but most of the time learning in an unstructured environment can be better. 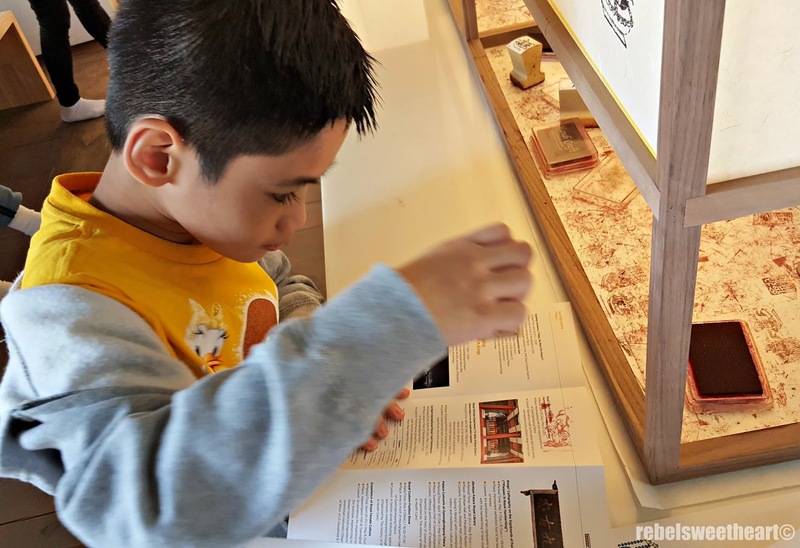 Find a day where you have little going on and fill it with fun learning activities such as picking out a book from the library or visiting a museum. There are also plenty of shows that you can watch and learn. Depending on your child's age it may be cartoons or documentaries, but make sure it is enjoyable for everyone. Do not use this time for anything other than focusing on your child and the information delivered by the show. Moreover, it is very important for children to like to read. Reading is one of the most difficult things to learn, but it can be fun in the right environment. Reading is important at every age, whether you are reading to your child, having them read to you, or just sitting in the same room reading. Being together is the most important part, but the habits being learned are invaluable. Yue at an exhibition in Changgyeongung Palace, Spring 2016. Audiobooks and podcasts can be a great way for children of any age – depending on the content – to learn while on the go. Every parent knows that those little ears are listening, even when they aren't supposed to, so you may as well take advantage of it. I am sure most kids would rather watch a Disney princess or Star Wars movie than to listen to a self-help book, but sometimes the medicine that tastes bad is the only thing that will make them feel better. For most people life was easier as a child. Use activities with your children as a bridge to the child you once were. Embrace parenthood and use the time with your children to give them growth, and find the benefits in becoming a kid once again. Parenting is tough, but all I can do is try to be the best mom possible, and keep growing with our kids. These are great ideas to reward your children, I will have to keep them in mind, thanks for sharing! These are such great ideas for kiddos, thanks for sharing! :) I love the idea of learning and reading with children to help them. Love these ideas. Growing up, every evening, my dad would call my siblings and I to the patio. We would sit around him and he would tell us lots of stories with lessons to be learned from each one. That's one part of my childhood I will always cherish. These are all such great ideas to keep your kids' minds active! I love the idea of these interactive games to play with them. Those are really good ideas. 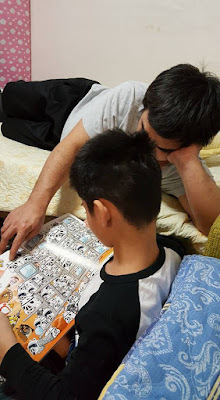 I remembered those times when I was still a kid my parents always have 2 hours or more for us to do some activities like reading, game board or doing our 1000 pieces of jigsaw puzzle. time is the best gift we could give our kids. nice tips you got here. thanks for sharing. These are great ideas to do with kids. I sometimes give a reward to my daughter every after their exams and coloring book is one of her favorite rewards to received. Nowadays kids always stick onto electronic devices which are not healthy. Great ideas to keep the children occupied! I love these ideas! One of my favorite ideas is building something together. This is something that my oldest son really enjoys doing. What a fun and great idea. Quality time is really importatnt especially to kids. I love doing most of these activities alone so I know a kid can bring a new kind of fun to the mix! Thanks for sharing these ideas. My husband, kids, and I go on road trips often and the activity that we find rewarding while on the go is the one you mentioned here, "Audiobooks and podcasts can be a great way for children of any age – depending on the content – to learn while on the go." They are also terrific for family discussions.